Some visitors come to Africa with preconceived ideas based on other people's opinions. We are amazed at how many people provide advice on things like an African safari and when we ask them questions they have never been to Africa! They have based their opinions on what they have seen or heard on TV, etc. Jenny and I were born in Africa and have lived here for all our lives. We have been to most big-five and other national parks / wilderness areas, from Kruger to Kalahari to Kilimanjaro and we have spent over a year in the Kruger Park and over 200 days in Etosha, the Kgalagadi and Pilanesberg. We live in South Africa so we prefer Southern African parks to the East African parks. African Safari Myths #1: Africa is hot, humid and hazardous! Fact: More people get bitten by spiders and snakes in their homes than while on safaris. Most safaris happen on open savanna not in jungles and the best time for safaris tends to be the cooler winter months when mosquitoes and snakes lie dormant. Yes, Africa does have dangerous animals but most fatalities have been caused by people disobeying the park rules by getting out their vehicles and harassing the animals. African Safari Myths #2: Africa is not safe for visitors due to political unrest and crime. Fact: The Kruger National Park alone gets about 1.8 million visitors every year, of which over 60% are foreign visitors. The USA can fit into Africa about three times - Africa is a big continent with many countries - some have problems but generally the Southern African parks in South Africa, Botswana and Namibia are safe and peaceful. We do have some tips about Safari Safety that you may want to read. If you take a few basic precautions you will be able to ensure criminals do not steal your valuables! Fact: You have the option of roughing it - you can camp out in the wilderness by yourself but you also have the option of staying in comfortable or luxury accommodation with gourmet meals. Tented Adventures in Pretoriuskop and Pilanesberg offer a glamping experience so you get the tents combined with a lot of luxury! 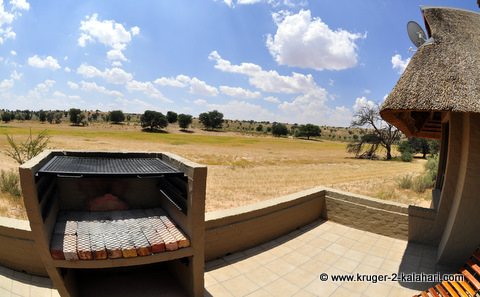 The comfortable wilderness camps and new river-facing chalets at Mata Mata and Nossob camps in the Kgalagadi Transfrontier Park, for example, are all self-contained with kitchen, toilet, bedroom and are unfenced, which makes the camps so appealing for people who want to get really close to nature. True wilderness without roughing it. African Safari Myths #4: An African Safari is an adventure holiday. Fact: A traditional safari is a relaxed event that takes place in a vehicle. You drive around the park on a self drive safari or are driven around on a guided tour looking for wildlife to watch or photograph. Your only exertion will be to lift up your camera or sun downers! There are, however, more strenuous activities such as wilderness trails, mountain biking, hot air ballooning or bush walks that can be included in your safari if you are into adrenaline activities. African Safari Myths #5: An African safari is so expensive! Fact: This is the African safari myth that we hear the most. 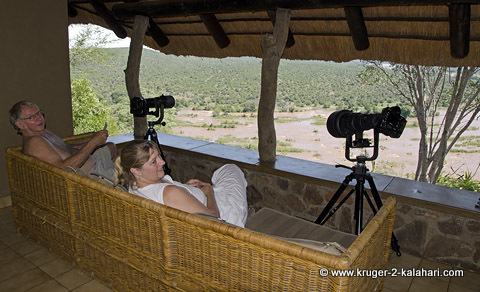 Whenever we tell people we are going to the Kruger we tend to get comments such as "Wow, you must have a lot of money!" The private game reserves do a lot of marketing so when people say 'Kruger' others may think of the expensive Sabi Sands or the Kruger concessions. We stay in very nice accommodation from safari tents (that cost R600,00, or US$50,00 per night) to chalets costing on average about US$150,00 per night (for 2 people). The 2011/2012 cost is R1444,00 per night for four. That equates to R361,00 per person - where can you get two bedrooms with en-suite bathrooms, a lounge and kitchen and a view like this for UD$51 per person per night?! The 2011/2012 cost is R4791,00 (US$684,00) per night. That equates to R599,00 (US$ 86,00) per person per night. 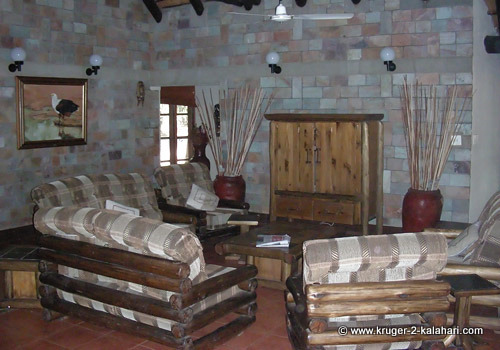 This is a luxury cottage with a river view, private hide, microwave oven, stove, braai, you name it! And if you still cannot afford these costs you have other more affordable bungalows with communal bathrooms/kitchens and also camping sites. A Southern African safari does not have to be expensive - don't let this African safari myth prevent you from having a 'must-have' experience! If you are a foreign tourist then your most expensive item would be your airfare and if you used your frequent flyer miles your overall safari cost would be dramatically reduced. African Safari Myths #6: The more National Parks you visit on your African safari the greater your wildlife viewing experience. Fact: You could do the Kruger Park, Chobe, Moremi, Kgalagadi and Etosha in 14 days but you will be worn out and will spend so much time in vehicles or airplanes. Rather stay at one park for the full duration - the Kruger Park is over 300 kilometers from north to south - you could spend 10 days just in the south of the park and not see everything there is to see. You will see from our trip reports that we go on safari for an average duration of twelve days to one park. We have found that 3 days is the minimum stay for each camp - we prefer 4 or 5 days at each camp. If you stay for less time you will not be able to get a feel for the area or the animal movements. 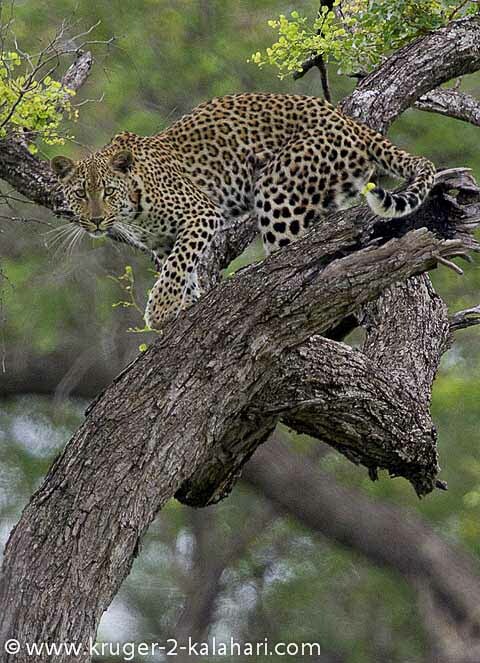 An African safari should provide you with quality of game viewing instead of just a tick-list of parks visited. African Safari Myths #7: You must have a safari guide to find the animals. Fact: This African safari myth is the one we hear nearly as often as the 'expensive' myth. We have been on over 150 guided game drives in both the private reserves and in the national parks and the caliber of safari field guides generally leaves much to be desired! 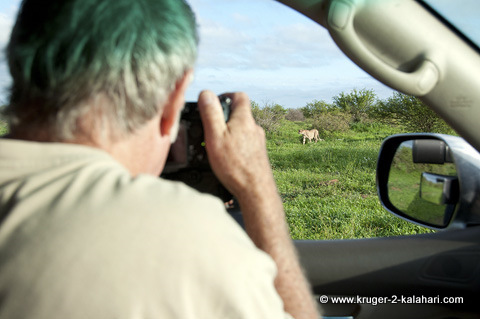 We have far better sightings when on our self-drive safaris. ...all while on self-drive safaris! These are all single 'sightings' not number of animals seen. In some cases we have seen a pride of 12 lions or a leopard mother with cubs but have counted them as one sighting. It boils down to going on your game drive at the right time (when the animals are more active just after sunrise and just before sunset), being alert for shape, color and movement in the bush and being in the right place at the right time. 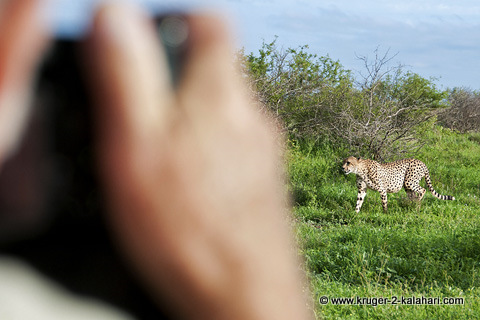 African Safari Myths #8: I need a big, expensive 'bazooka' lens to get good photographs. A 300mm lens with 1.4X teleconverter would be sufficient for most opportunities. If you have a camera body like the Nikon D7100 with 24 megapixels, you could crop the far-away shots and still have decent resolution. We currently use the Sigma 150-600 Sport and Contemporary lenses mounted to our Nikon D500 and D7100 bodies and we are very happy with the image quality. Regardless of what photographic equipment you own, spend a few dollars on wildlife photography tuition. We have seen photographs taken by a person who had the latest 600mm f4 VR lens and they were horrible! There is NO substitute for learning good photographic technique and animal behavior! ...you will then be on your way to getting Super Photographs! African Safari Myths #9: Seeing the Wildebeest Migration and/or the Big-Five is like finding the Holy Grail - a safari isn't a safari without seeing one of these! Fact: For visitors going to East Africa the wildebeest migration tends to be the main event. Hundreds of thousands of wildebeest and zebras attract a lot of predators! The “Big Five” African animals are the Buffalo, Elephant, Leopard, Lion and Rhino. They have been put together in this category as they are the most dangerous animals to hunt because they fight back! Some people get their timing wrong and they miss the migration while others do not get to tick off the big-five animals. Our advice is not to get upset - a safari is so much more than just these two sights. We have not seen the wildebeest migration but we have seen the big-five on a numerous occasions, sometimes all in one morning. It's no big deal. As photographers we want to capture quality photographs so we believe in 'situation-driven' photography rather than 'subject-driven' photography. Why photograph a lion lying in tall grass under a bush at midday when you can photograph another animal in great light!? Most of our photographs that have won in photographic contests have not been of the big-five but of subjects such as lizards and plants. 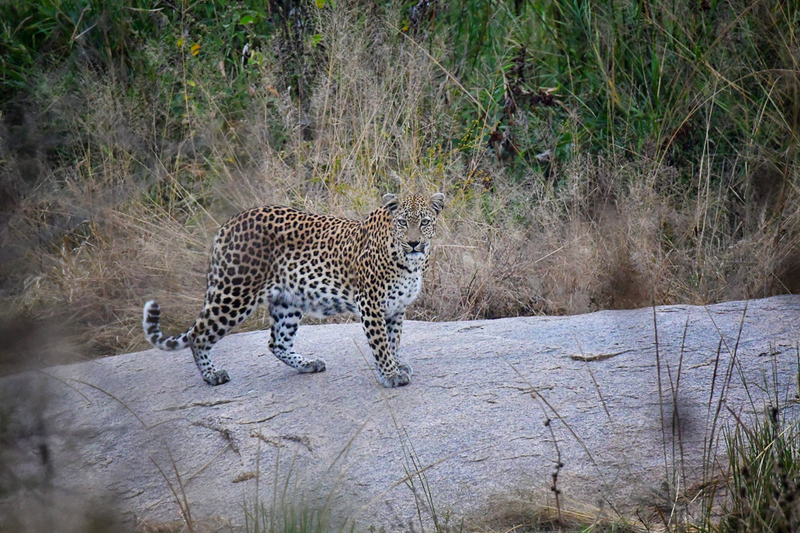 It is nice to photograph a leopard but there are so many leopard photographs that you will be competing with! In addition to the big-five you have the small-five animals, the big-six birds and the elusive-eleven nocturnal animals. If you want to find and photograph the above animals we highly recommend that you spend a few dollars and invest in site guides / park guides. What tends to happen with visitors to the parks is that you arrive at a destination and then you waste several days getting to learn the animal hot-spots and by then it's time to move on to the next camp or go home. These guides will prepare you so that with a bit of study you will be able to photograph from when you arrive, making the most of your valuable time. Included in the guides are shooting strategies for different areas & camps, specific time of day, light direction where to go when, expected subjects, and knowing what equipment & techniques will be most effective. 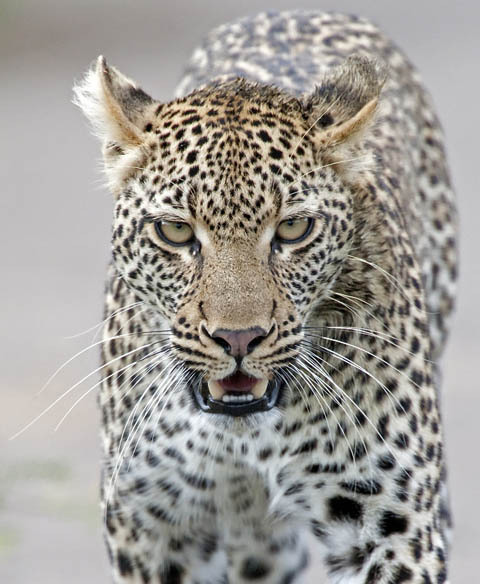 African Safari Myths #10: The safari game drive vehicles leave the camps at 05h00 and return by 09h00. They then leave again at 16h00 to return after sunset. For seven hours of the day you do nothing. Fact: Game drives do leave early in the morning as that is the best time to see predators but you are on holiday and can sleep in! But just remember that the day you sleep in will be the day the others see the leopard and the pride of lions! Our routine is to go out early in the morning and then to remain in camp for the rest of the day. The mornings are much cooler than the afternoons so we tend to see more game in the mornings. 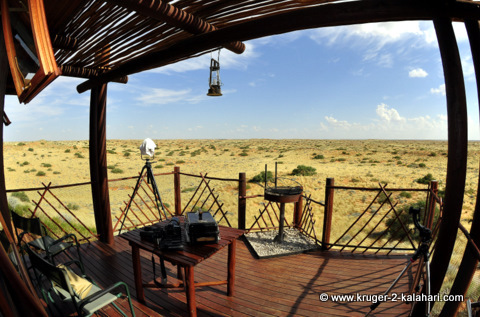 You also have the option to stay out all day if you are doing a self-drive safari - this is where you are the boss! Keep in mind that you have a better chance of seeing some animals, like cheetahs, in the heat of the day as this is when they tend to hunt. so don't let anyone tell you there are NO animals to be seen at lunch time! Obviously the light at midday is not the best for photographs if it is a sunny day, but on overcats days you can photograph all day with good results! So there you have it - the top-ten African safari myths debunked! We have not discussed the silly myths such as 'your dinner will be a plate of worms' or 'there are wild animals walking the streets of the African cities' or even 'the Kruger Park is a zoo', as a simple Google search will show you these stories are just African safari myths.